Several cycling champions of Britain are set to be decided this week as the National Championships get under way on Thursday. 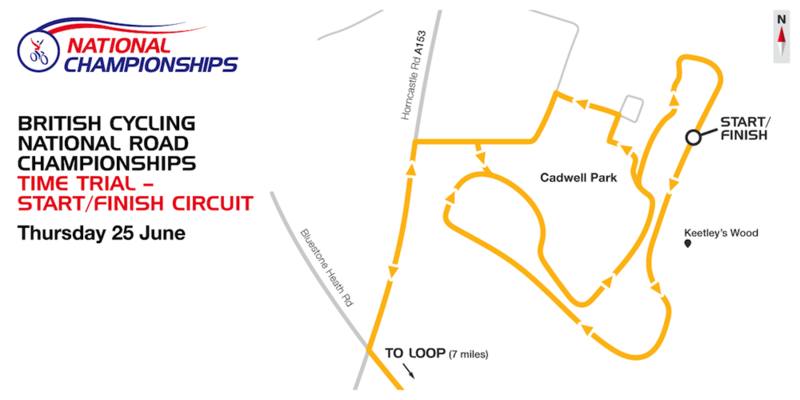 First up are the time trial events, in which both the elite women and elite men will do battle on the Cadwell Park Motor Racing Circuit in Lincolnshire. For fans, the event provides a great opportunity to see up close British riders who have spent the season travelling around the continent competing against the biggest names in the sport. And the time trial course in particular offers plenty of chances to see them go by, with each individual riding past several times on the loop-based circuit. The route begins from the lower paddock of the racing track known for hosting a round of British Superbikes each year. Unusually for such a setting the roads here include some relatively steep gradients – including one rise known as ‘The Mountain’ – which could aid lighter riders and make life difficult for rouleurs. After one lap of the circuit, each rider will head south for another, longer (roughly 11km) loop, of which the women will complete two laps and the men three. The roads here are also up and down, with a short, steep climb to Oslears Lane that will make it difficult for the riders to retain an ideal time trial position on the bike. 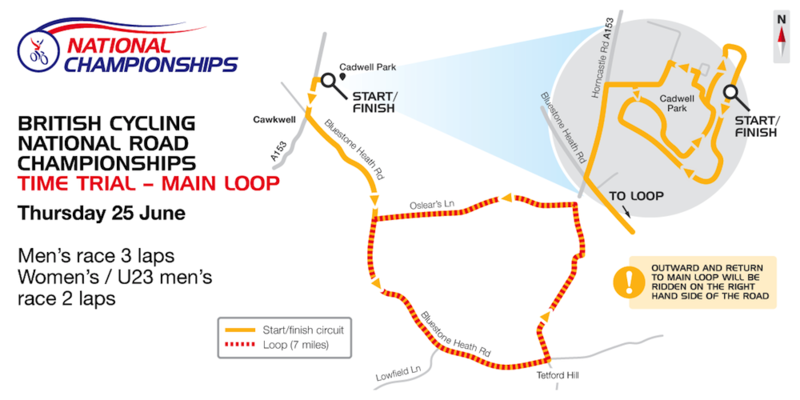 Each rider will then head back to Cadwell Park for one half-lap of the circuit, completing the 44.8km route. In the absence of last year’s retired champion Emma Pooley, a new champion in the women’s event is set to emerge. Katie Archibald (Pearl Izumi Sports Tours International) was runner-up to her last year and will go into this year’s event as favourite, and is scheduled to be the last rider off the starting ramp. Other contenders include 20-year old Elinor Barker (Matrix Fitness), who was fourth last year and is looking to translate her success on the track (where she formed part of the team pursuit squad that won gold at the 2014 world championships and silver earlier this year) onto the road. Then there’s veteran Sarah Storey (Pearl Izumi Sports Tours International), who finished third in both 2014 and 2011 and set a new fastest time for British women’s Hour Record in February this year. 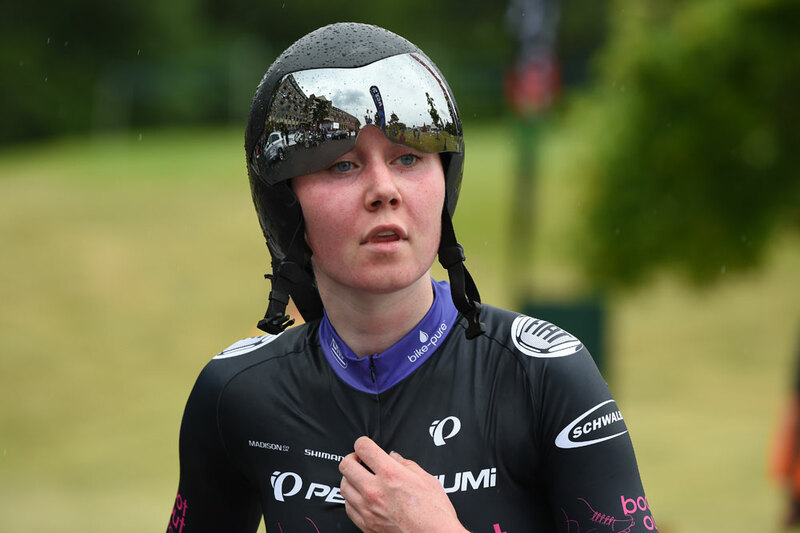 After British cycling failed to field a woman for the world championships time-trial at last year’s Worlds, each rider will be determined to make an early case for selection this year. In the men’s event, the reigning national and world time-trial champion and newly crowned hour record holder Bradley Wiggins (Team Wiggins) will not be present to defend his title. Last year’s runner-up Geraint Thomas (Sky), who has enjoyed a very impressive season across multiple disciplines, including a strong time trial performance at last weekend’s Tour de Suisse, will also miss the event after pulling out the day before, saying that he needs to rest prior to the Tour de France. 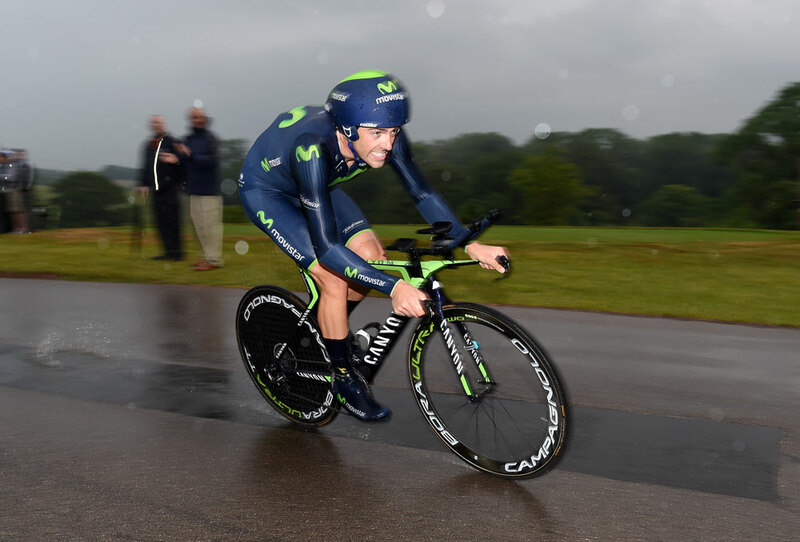 As a result, former Hour Record holder Alex Dowsett (Movistar), who won three national championships between 2011-13, and who also already has a time trial victory this season at the Bayern-Rundfahrt, is a clear favourite for Thursday’s race. One rider who could spring a surprise include Steve Cummings (MTN-Qhubeka), who recently impressed in breakaways at the Critérium du Dauphiné.